In 1870, Truman Everts visited what would two years later become Yellowstone National Park, traveling with an exploration party intent on mapping and investigating that mysterious region. Scattered reports of a mostly unexplored wilderness filled with natural wonders had caught the public’s attention and the fifty-four-year-old Everts, near-sighted and an inexperienced woodsman, had determined to join the expedition. He was soon separated from the rest of the party and from his horse, setting him on a grueling quest for survival. For over a month he wandered Yellowstone alone and injured, with little food, clothing, or other equipment. In “Thirty-seven Days of Peril” he recounted his experiences for the readers of Scribner’s Monthly. In June 1996, Everts’s granddaughter arrived at Mammoth Hot Springs in Yellowstone National Park to meet with park archivist Lee Whittlesey. She brought two documents that her father had kept hidden and both were handwritten by Everts. One was a brief autobiography that gave new insight into his early life. 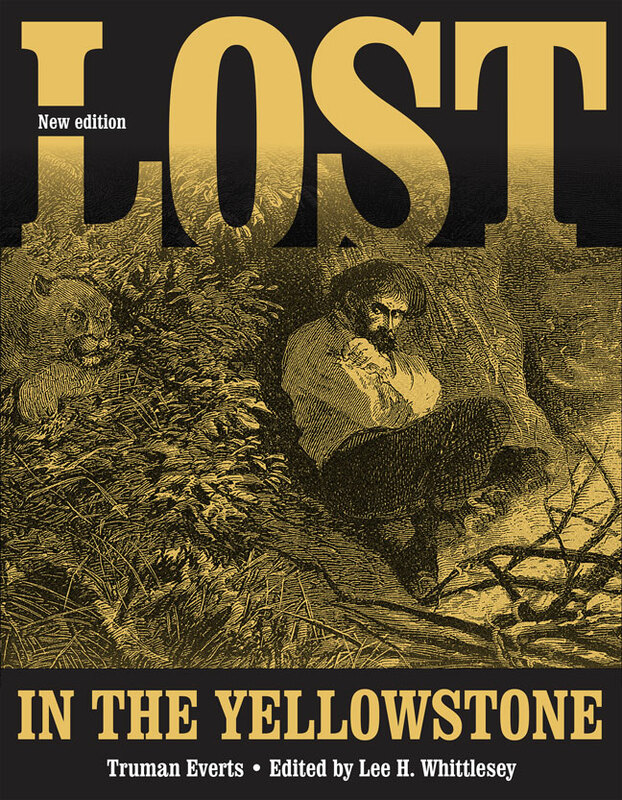 The other was a never-published alternative account of his confused 1870 journey through Yellowstone. Both have been added to this volume, further enhancing Everts’s unlikely tale of survival. Lee Whittlesey is the Yellowstone National Park historian and the author of multiple books on the park, including Yellowstone Place Names and Storytelling in Yellowstone: Horse and Buggy Tour Guides.